Sugar molecules are probably the most hydrophilic natural compounds to date due to their hydrogen bonding capability (donor and acceptor). Sugar alcohol, also known as polyol, is a hydrogenated form of carbohydrate in which the carbonyl group (aldehyde or ketone) has been reduced to a primary or secondary OH group. Sugar alcohols occur naturally in foods and come from plant products, such as fruits and berries. Sugar alcohols are often used as ingredients in sweeteners and for making polymers such as hydrogel. Table 1 list some popular sugar alcohols that can be used for making AqT™ crosslinkers. Table 1: Sugar alcohols that can be used for making AqT™ crosslinkers. Figure 2. 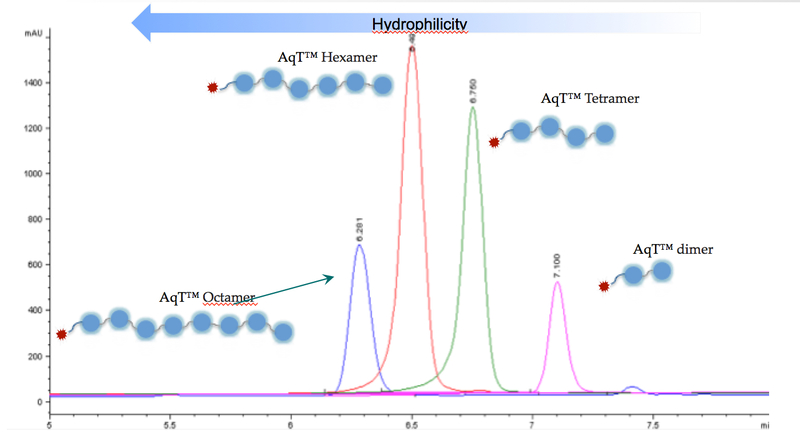 C18 HPLC analysis of AqT™ linker and other commercial linkers. 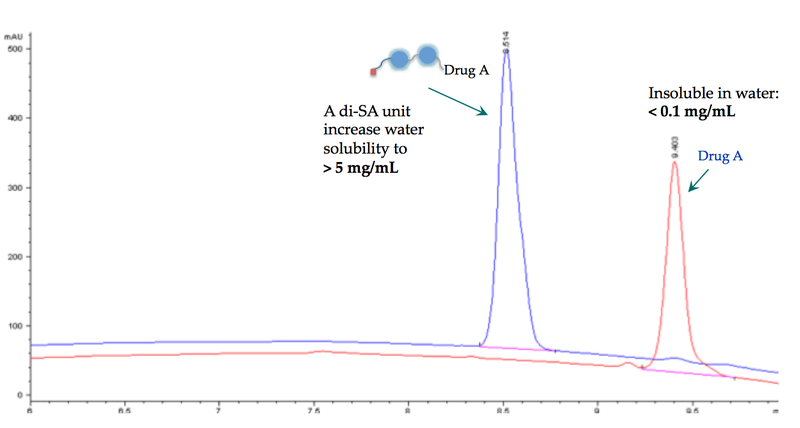 2) AqT™ linkers are by far the most versatile and tunable molecules in development. 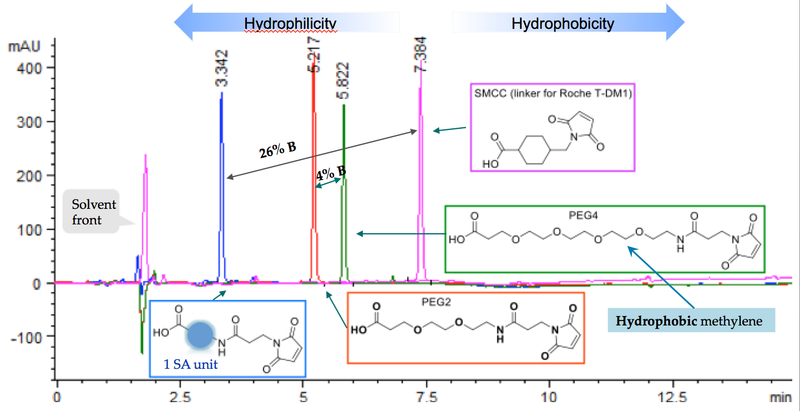 AqT™ molecules are covered under WO2013/012961A2, US patent number 8907079B2, 9511150B2, US15/281,023, Chinese 201280034231.3, Australian 2012284055, Japan 2014-521744, and equivalent patents and patent applications in other countries in the name of CellMosaic, Inc. We are currently marketing limited AqT™ products for internal research and development. If you are interested in using AqT™ for commericial usage, please contact us for more information. For partnering and collaboration in the development of AqT™ therapeutics, please check our website at www.aqttherapeutics.com for more information.